An adventure that began in the early 2000s, when Luciano took over this historic restaurant, which for over 15 years had made his fame grow in Pisa and nearby. Until 2007, Luciano who has always been a butcher, has divided his day between the butcher shop and the restaurant, conquering the most refined palates for the type of meat and exceptionality of the cuts on the grill. Just as a result of this great success, the staff grows with the inclusion of a waiter who will shortly be the engine of the new development, Marco. Young and dynamic in a short time conquers the customer, the attention of Luciano that more and more delegates him to work, and the love for his daughter with whom he marries creating a family with 2 children. 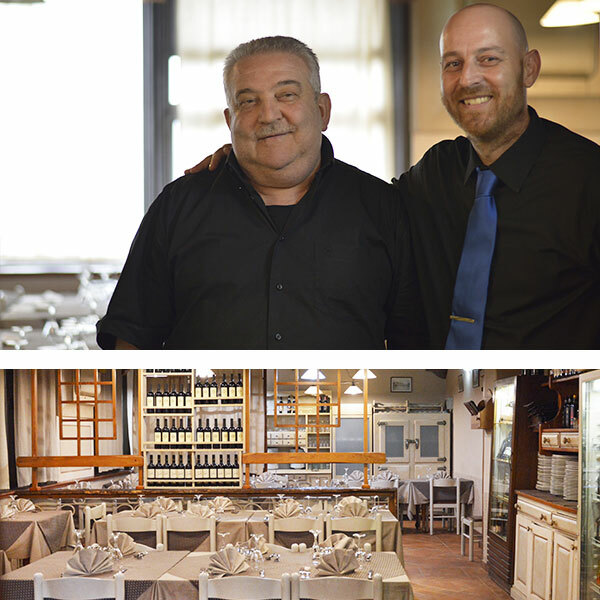 In 2015 Luciano retired and Marco took over as a partner; since then the company has undergone a period of renewal (still in progress) which, although linked to the tradition of the grill, comes with a new menu, a new preparation of the dishes, a revisited setting and recently also with the new oven and grill at sight that wants to keep the tradition of Luciano united with the creativity of Marco. Also developed the presence on the web with this new site and activated the social channels to tell a preview of all the news on dishes, pizzas and barbecue with the Tomahawk just introduced, we work every day to grow giving maximum attention to your needs. We are waiting for you. Come and try our 2018’s new entry! Al Vecchio Braciere becomes the ideal place to enjoy a barbecue with friends. 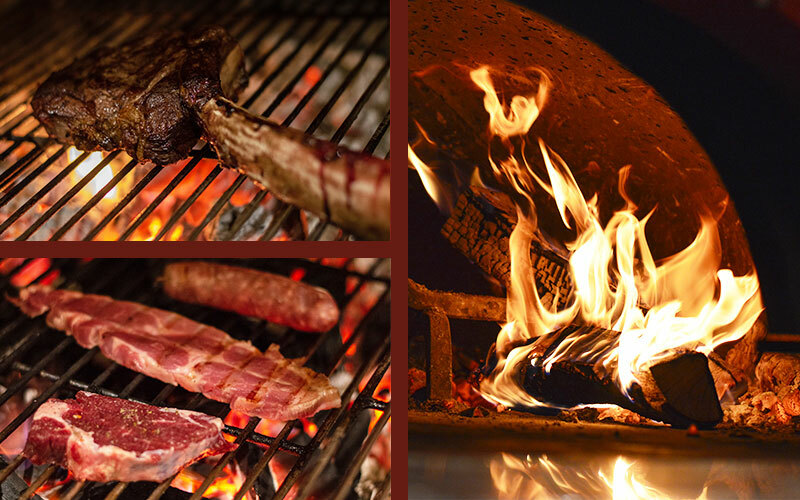 We have selected different cuts of meat, tender and quality, to bring to the table the authentic flavor of the ember. 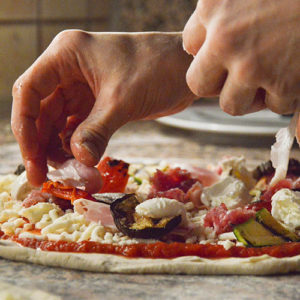 Al Vecchio Braciere has always been known for its pizza: crunchy and tasty, it is also easy to digest thanks to its long leavening. Try also the dough with whole wheat flour and five cereals, and the lactose-free mozzarella cheese, good, healthy and light. 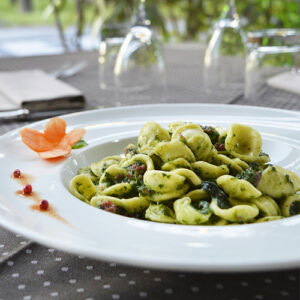 Our cuisine is made of dishes worthy of the Tuscan and Italian tradition. 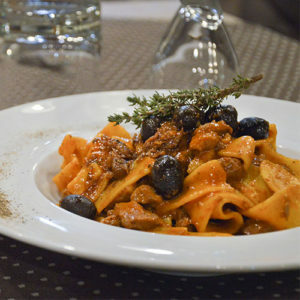 We offer two different à la carte menus, composed respectively of meat and fish dishes, for an interesting fusion of Tuscan and Mediterranean cuisine. 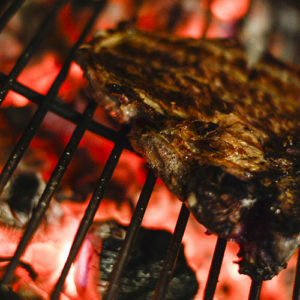 One of our strengths is certainly our grilled meat. Thanks to Luciano’s many years of experience in the butchery field, we are able to select cuts of tender and excellent quality meat and to know its peculiarities and cooking techniques. In addition our meat comes from Italian pastures, except for the huge and tasty Tomahawk steak, made with meat of Irish origin. Our goal is to serve our customers a delicious dish that recalls the flavors of grilled meat as it once was. In addition to the traditional Florentine steak, we offer beef, fillet and pork or mixed BBQ, served with side dishes of seasonal vegetables. The mix of flours used by our pizza man gives crunchiness and fragrance to our pizzas, light and highly digestible, but rich in taste thanks to condiments. 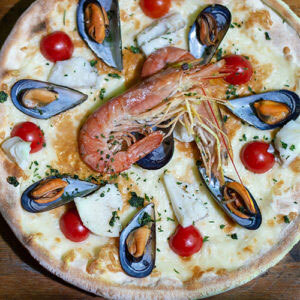 In our menu you will find classic pizzas and the ones with innovative flavors, and the most particular made with whole wheat flour and five cereals. Raw materials and local ingredients characterize our à la carte menus. We have selected some of the land and sea dishes typical of the region and we have created classic menus that perfectly reflect the tradition of the place and the taste of our customers. At lunchtime it’s you to choose! In addition to our à la carte menus of fish and meat, we offer fixed menus to allow you to enjoy a complete meal even in the short lunch break of your busy life. Choose the complete menu or the unique dish according to your needs and your appetite, and we will offer you water and coffee.